Orlando Areas Most Requested Residential And Commercial Mover! 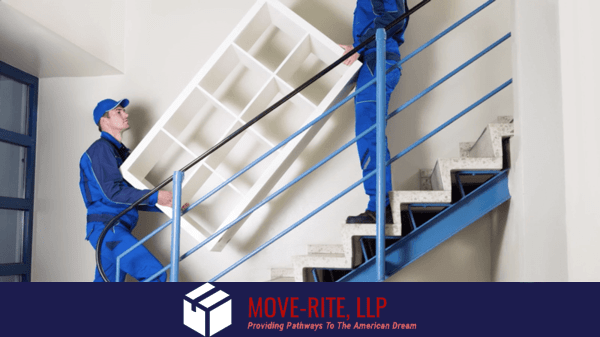 "Providing Pathways To The American Dream"
Move-Rite started by focusing on customer service and providing the best possible moving experience in Orlando and its surrounding areas. We have achieved great success through our combination of honesty, integrity, and accountability. We mix our knowledge from the Bible with our years of industry expertise to create an untouchable level of service. We believe in ourselves and what we do, finish what we start and deliver what we promise. We enjoy helping people and meeting their needs. Our business goals are to help our customers, engage employees and their potential, and help our customers achieve their highest aspirations. Our priority is to make a great relationship with people. Our team is committed to being the best in business; radiating positive energy, excellence, and kindness to every person we are fortunate to help.